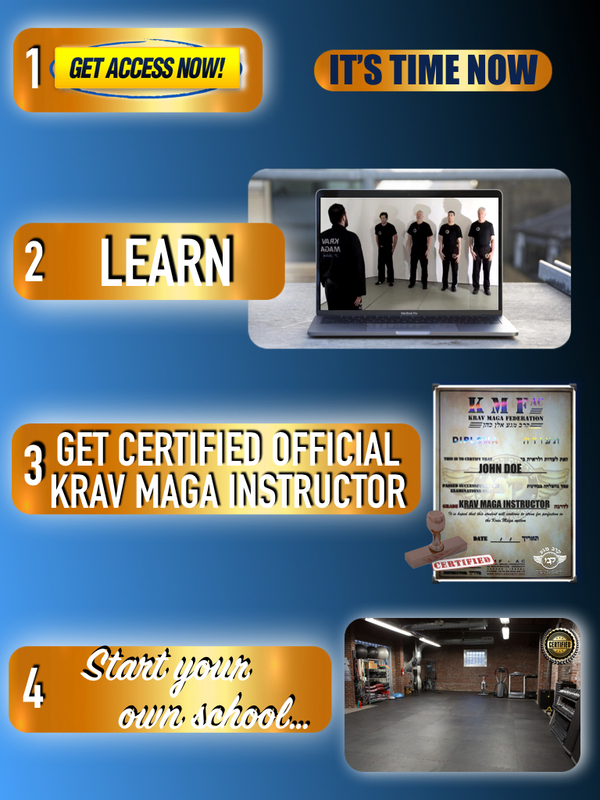 KM UNIVERSITY IS THE BEST WAY FOR YOU TO ACCESS BEST KRAV MAGA KNOWLEDGE AND GET CERTIFIED WITHOUT TRAVELLING. 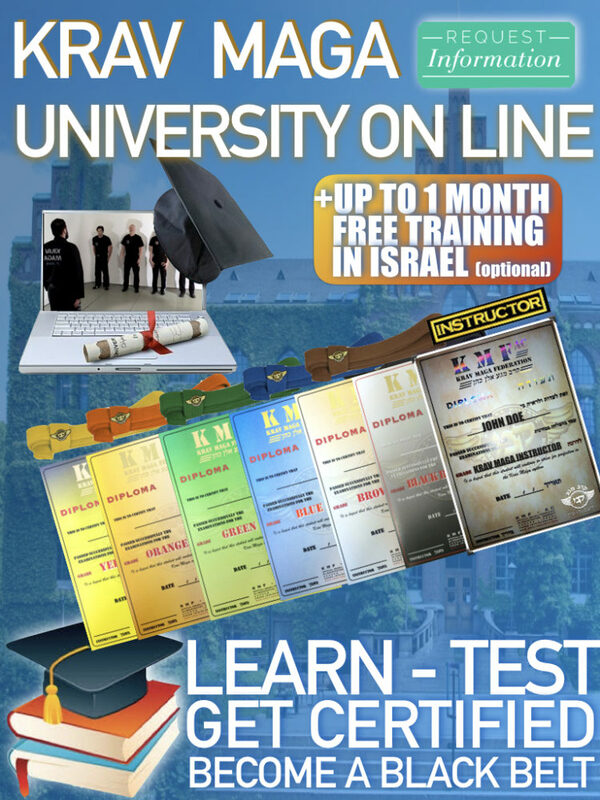 Get private learning with Master Alain Cohen. Get your pack immediately and start the adventure with us. 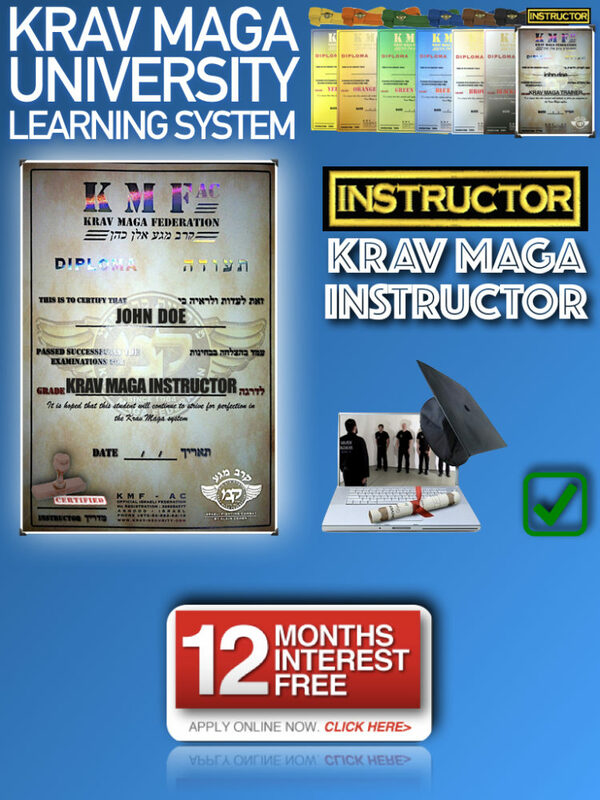 • Start learning and training using our books and dvds, then with a partner make a demonstration movie of the various techniques required, and either send it to us at KMF-AC head office, or post it on You Tube. 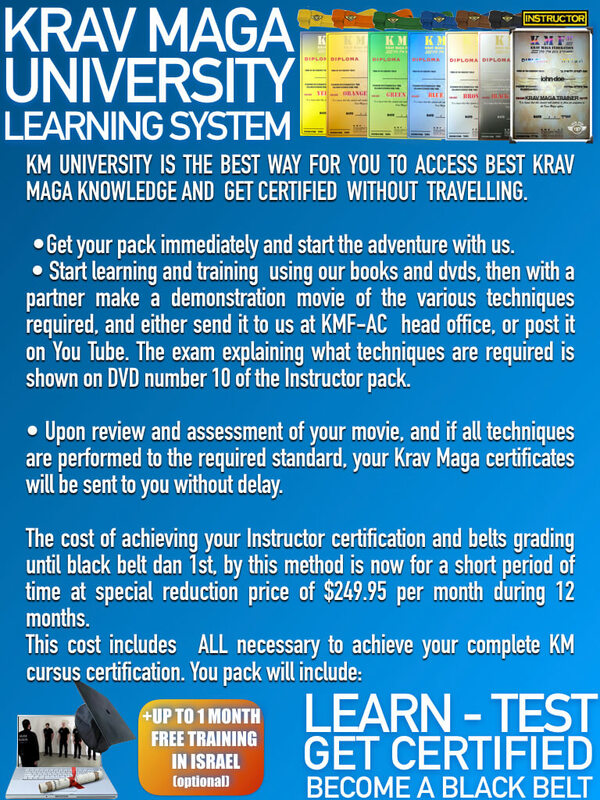 The exam explaining what techniques are required is shown on DVD number 10 of the Instructor pack. • Upon review and assessment of your movie, and if all techniques are performed to the required standard, your Krav Maga certificates will be sent to you without delay. 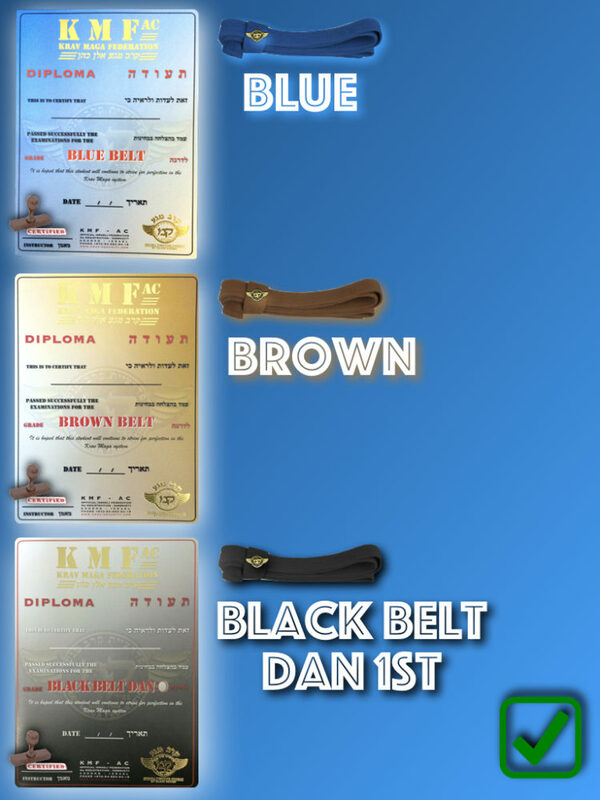 + 1 KM TECHNICAL PASSPORT, WITH ANNUAL STAMP AND MEMBERSHIP CARD KMF-AC AFFILIATION FEES. • Traveling for your hometown and gym. • Paying for an airline ticket to Israel. 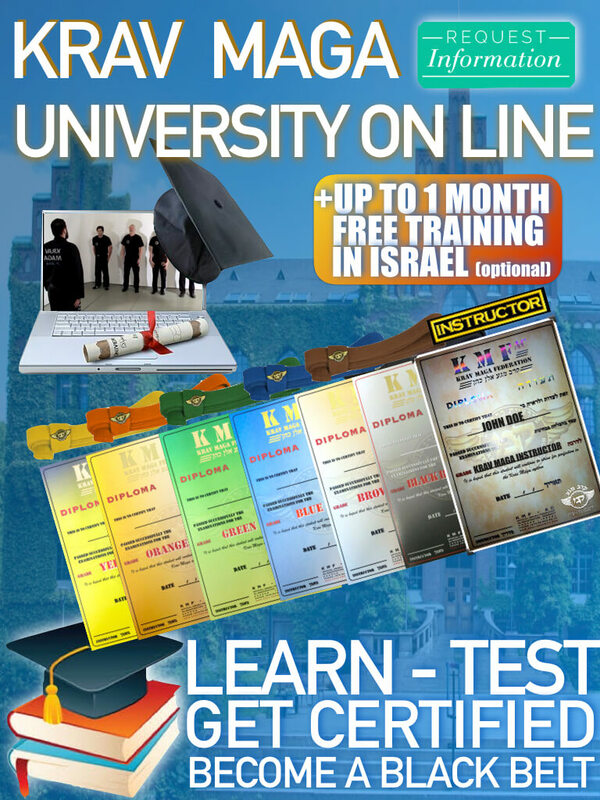 • Paying for accommodation while in Israel. • Scheduling your training and learning time (You set your own programme time scale for when you have free time). • Rushing your programme (There is no time limit on when your examination tapes/videos can be sent to us). • All DVD’s contain clear English subtitles and slow motion explanations of each technique. This enables you to rewind the discs to study repeatedly if you do not understand it the first time. 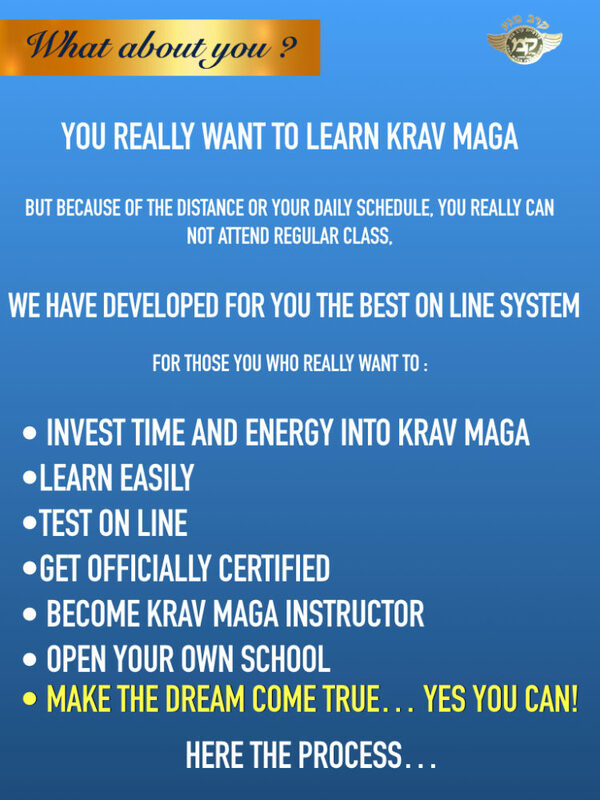 Note: The KRAV MAGA UNIVERSITY SYSTEM is NOT for commercial use. They are designed as individual learning programmes. 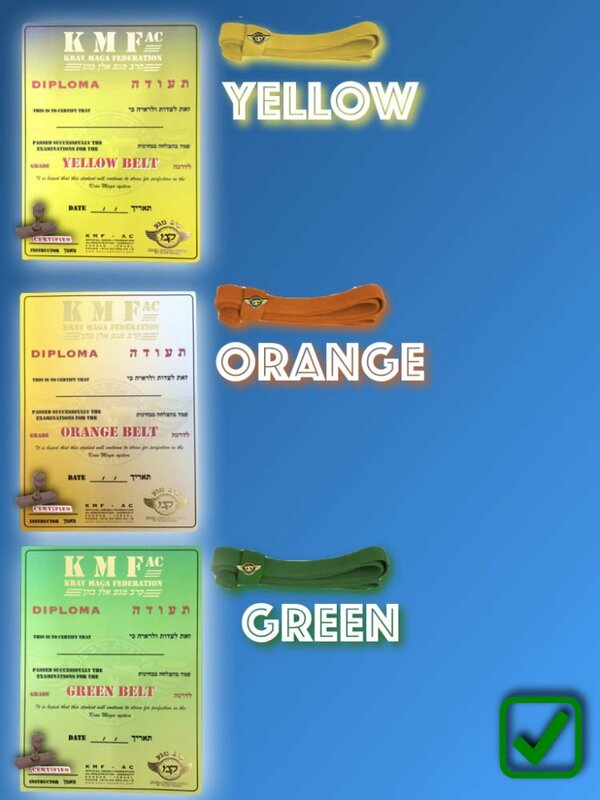 So each single person that wishes to be certified under this method MUST purchase his or her own PACK.